Day One Design specializes in Earthen Plaster and completely natural wall coverings. This website includes samples from my portfolio, upcoming learning opportunities and an inspirational blog that I wrote during my personal journey to become a natural builder. Enjoy! 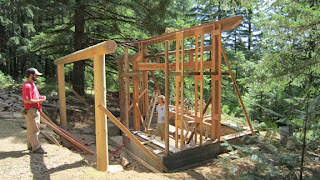 We will be building a wood-fired earthen oven at the Heart Rock Ranch, using the sand dome technique. In this two-day workshop, we will create an oven using the earth around us and a few additional items, including empty bottles, firebrick, sand and straw. Delicious lunches provided. Workshop limited to 8 students.